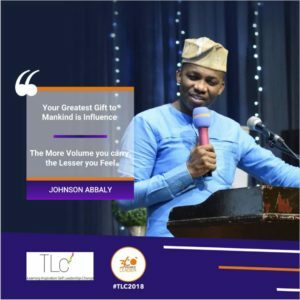 The last edition of True Living Conference, popularly called TLC took place on the 23rd of June 2018 at the Muson Center, Lagos. It was an event that brought together passionate young minds and leaders willing to learn about how to be a 360 Degree Leader. 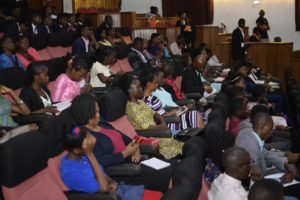 The conference featured amazing people such as Mr Abbaly Johnson, Mrs Chizor Malize and Mrs Abosede George-Ogan as the speakers. 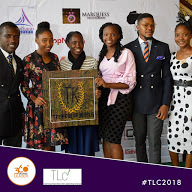 The launch of TrueKolours Magazine by Mrs Onyinye Etoniru-Okoh, CEO TrueKolours Hub and Convener, True Living Conference. 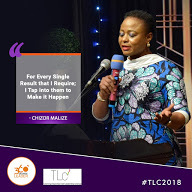 She spoke about her passion to give back to the society which led to the TLC conference. The speakers and audience participated in the book launching. 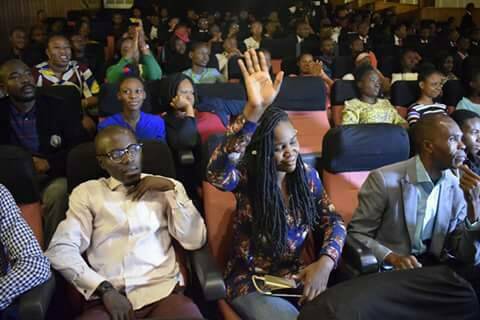 A debate on the topic: “The age, experience and vision of the candidate, which amongst these factors would influence your presidential vote in the 2019 elections?” The audience was the jury who decided the winner and runner-up. The unveiling of The BLUE Awards by Mrs Onyinye Etoniru-Okoh. 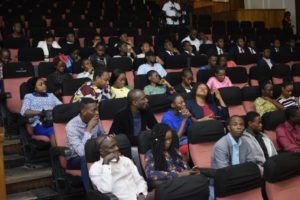 The leadership chat – the panellists were Mr Adedamola, Miss Ruth Okoli and Mr Babalola, the session was moderated by Mr Nnamdi. 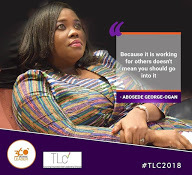 Mrs Abosede George-Ogan is the Director, Strategy, Funding and Stakeholder Management at Lagos State Employment Trust Fund, she took her time to share and inspire the audience. 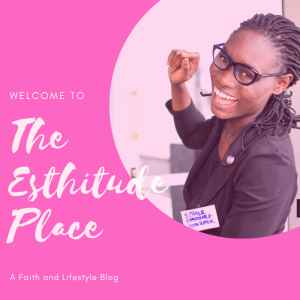 She started by sharing the popular quote “Our deepest fear is not that we are inadequate.” She went ahead to share her life story: her passion, career growth and all. She emphasized the importance of clarity of purpose, consistency in character, integrity. She laid emphasis on humility and rounded up by speaking positive affirmations and prayers into the lives of the audience. In your life, you are on a mission and the jobs are vehicles. Entrepreneurship is supposed to be to solve problems and to create value, not just to make money. Be clear about your purpose- know who you are, where you are and where you are going. It’s good to be influenced. But choose what and who influences you. Hope you have learned a point or two from this post? 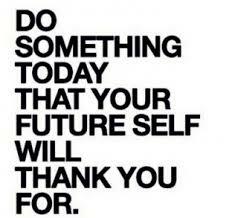 Which of these have you been slacking on that you will take action on from now?